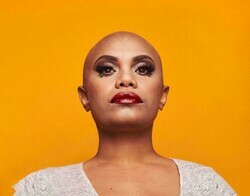 Ngaiire (pron Ny-Ree) is flying high having cemented her place as one of Australia’s most dynamic vocalists and unique performers. Her Australian Music Prize nominated, debut LP Lamentations (2013), showcases stunning vocals over a refined mix of down-tempo electronic glitch, soulful grooves and elegant piano work. Sydney-based powerhouse Ngaiire continues her unique brand of future soul.